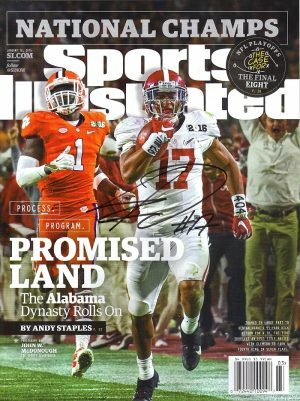 The University of Alabama did it again on October 3, 2015, they went to Athens and beat a highly touted University of Georgia team on their home turf, 38-10. This framed signed mini print by Daniel Moore celebrates that victory and the awesome 2015 Heisman Trophy winner, running back Derrick Henry. This professionally framed mini print is framed in a 1 1/2″ dark cherry moulding with a gold lip and double matted in crimson suede and black with glass and backing. 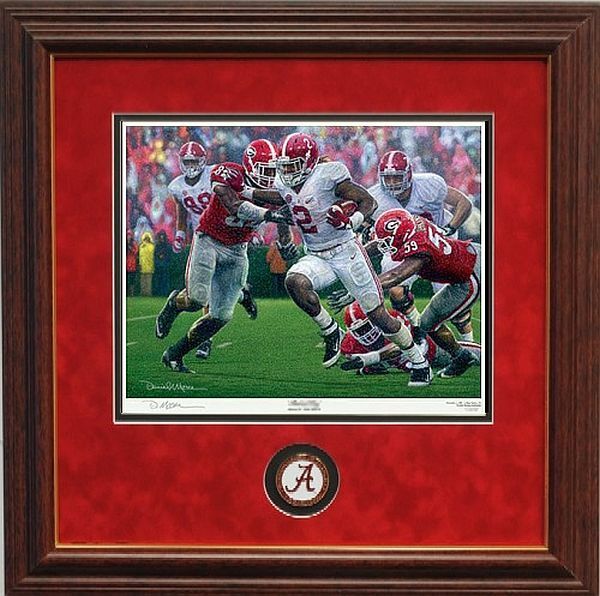 It measures 17 x 17 and will look great in your Bama collection.